Ross Mackintosh’s book Seeds (2011) describes the final couple months of his father’s life. His fun loving, pub going, sport loving but quietly philosophical ‘Dad’ died of disseminated prostate cancer in 2010 and Mackintosh, who had previously experimented with comic strips, felt inspired to embark on a full length narrative work. He states in the introduction how lucky he feels to live in the UK during a period of time in which healthcare is provided by the National Health Service (NHS). In contrast to nearly all the US graphic novels about cancer, in which significant themes seem to be the struggle with insurance companies to get treatment and the lack of humanity of the healthcare staff, he praises the hospice care that his father received. Apart from one or two notable instances of poor communication or lack of tact, his father was treated with care and respect and Mackintosh is grateful to the healthcare service. His fathers physical condition declines rapidly following the diagnosis of lung secondaries, and his family struggles to accept the diagnosis and forge a sense of normality over their day-to-day lives. 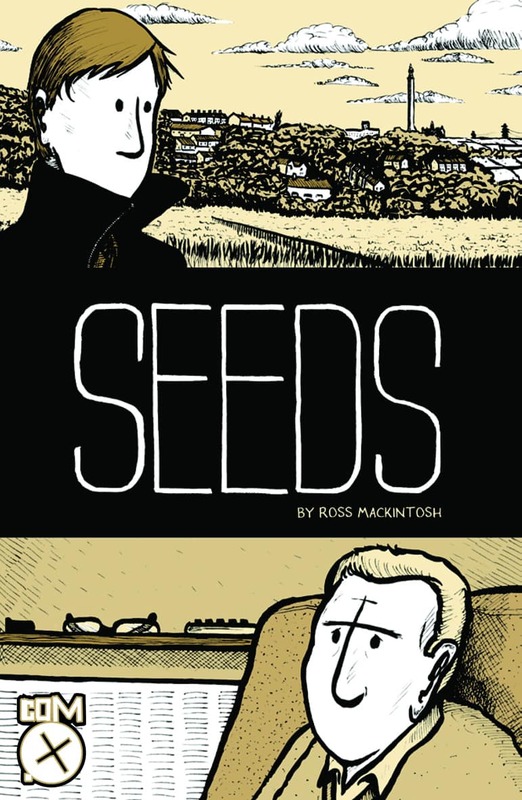 Typical of autobiographical comics, the story contains metafictional elements: as events enter the terminal stage, Ross discusses his decision to make an ‘adult comic’ about his fathers illness with his friend Martin. He concentrates on the grim little details of life as terminal patient: the challenges in maintaining basic human functioning; the traumatic reality and horror of imminent death, both in his father’s mind and in his own; the numbness felt when confronted with his fathers dead body and the surreality of attending the funeral of a parent. He tries to re-ground himself after his fathers death by attending to the details of nature, gazing at the stars, in whose cosmic timescale our lives are all insignificant, but in the end, it is almost impossible for him to comprehend his fathers absence possibly suggesting that he was still working through the stages of grief when the work was completed. I am sure that Ross Mackintosh will have had similar comments about his gentle, heartfelt work from those similarly effected by cancer and the death of a close family member. Read an LA Times interview with Ross Mackintosh here. Seeds is being made into a film! Read about it here.